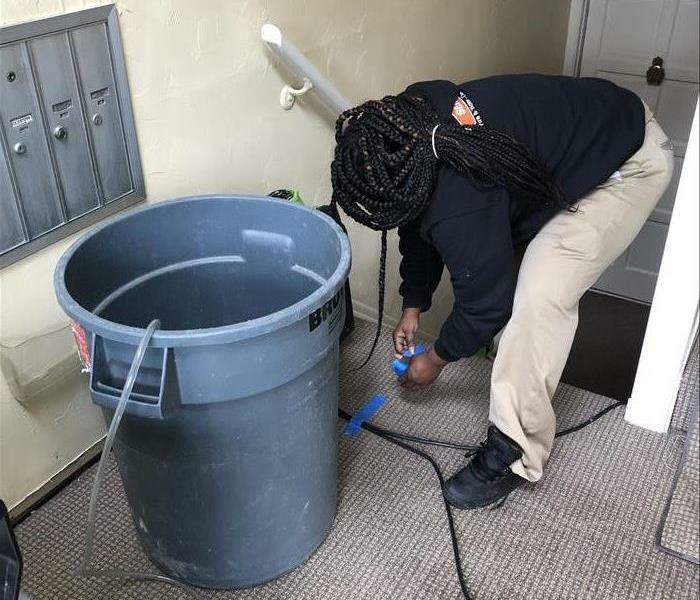 After our crews complete the inspection and damage assessment step, the water extraction process begins. This step removes the majority of the water. We use powerful pumps, truck-mounted vacuum units, and portable extractors to quickly remove hundreds or thousands of gallons of water from your property. The extraction process also helps us lighten the water load in materials that need to be removed, like carpet pad and other flooring. Extraction can aid the drying process no mater the water source, whether it is a leak from a clean water source, or flood water that has entered from the outside. 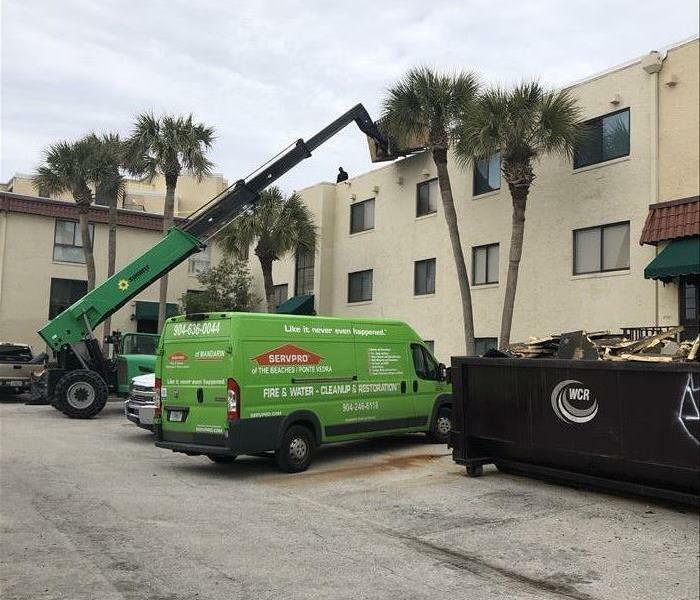 If your home requires extensive restoration or cleaning, SERVPRO of The Beaches / Ponte Vedra can conduct an organized, efficient move-out to protect your belongings from further damage.